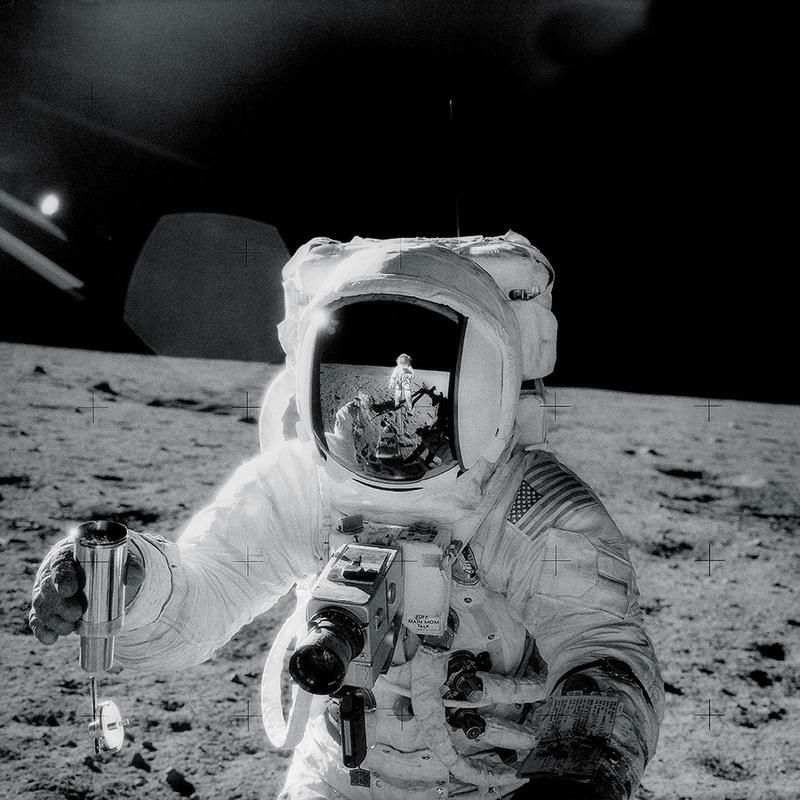 Apollo 12 astronaut Alan Bean holds a special environmental sample container filled with lunar soil collected during his sojourn on the lunar surface. 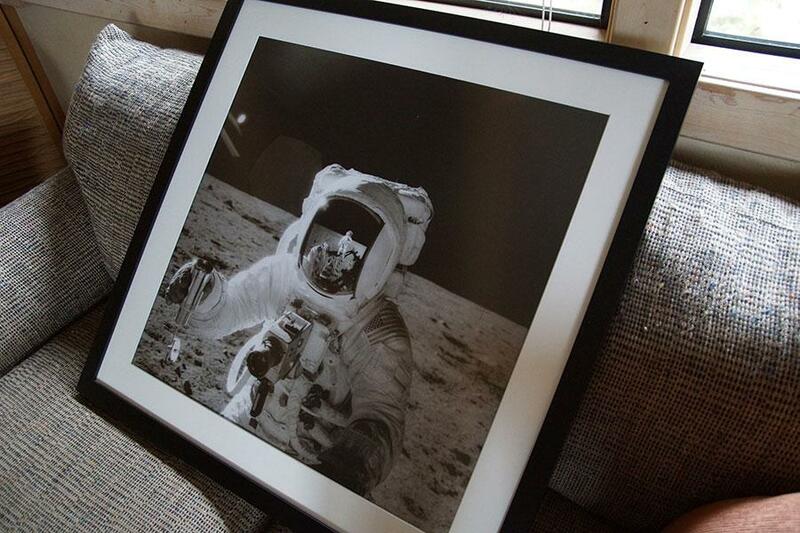 A Hasselblad camera is mounted on the chest of his spacesuit. 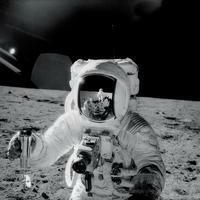 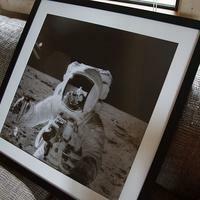 Pete Conrad, who took this image, is reflected in Bean's helmet visor.